North Wales golf club assistant pro Tom Bowen is launching a new mental health campaign for young adults, after the sport helped him turn his life around from depression. 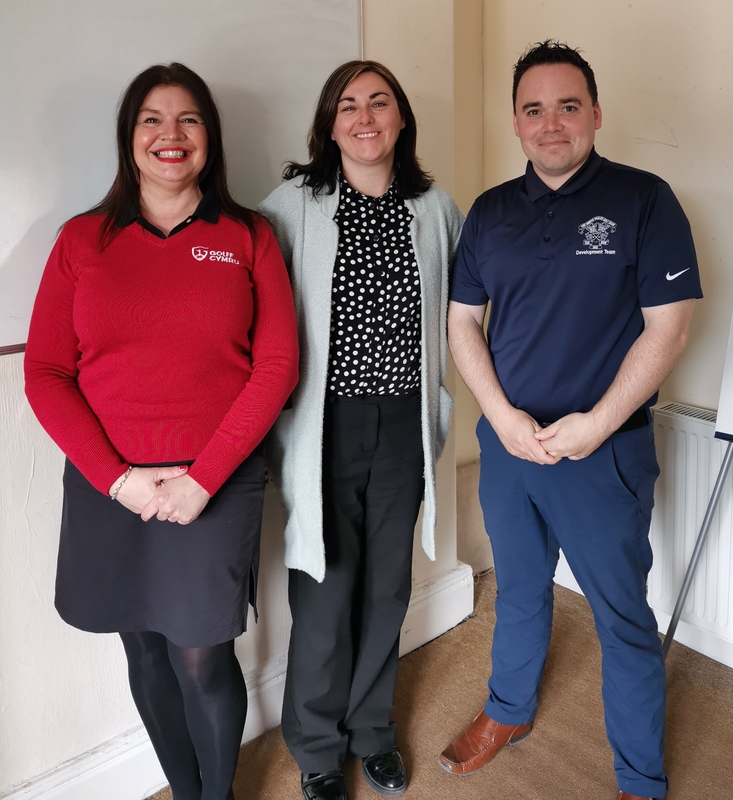 He is set to work with young adults, aged 18-24, through mental health charity MIND and Nant Y Glyn health resource centre in Colwyn Bay, to offer step-by-step opportunities to use golf to help them through. The scheme is being launched in the R&A’s Golf and Health Week, with a focus today (Tuesday, April 16) on mental health issues. “It is certainly something I have a passion for, I want to help people to turn their lives around too,” said Bowen. Bowen’s own story is inspiring, from not wanting to leave the house, to returning to North Wales golf club, to playing a hole or two, building up to 18 holes and then qualifying to take his PGA professional qualifications and working as an assistant pro. He believes the unique qualities of golf played a crucial role in his recovery and it is an opportunity he wants to spread as widely as possible. “We have managed to secure funding from HSBC Golf Roots for a scheme to help young adults suffering from mental health conditions.” he explained. “We are going to be working with the local mental health centre, Nant-y-Glyn (where I was myself a patient), Motiv8 and MIND. “We will be giving the young adults access to private one to one 30-minute lessons followed by 15 to 20 minutes to sit and chat after each session. Socialisation is just as important as the golf, they can relax having a coffee or tea. “Along with the private lessons, I will also be holding small group sessions for those that loved the one-to-one lesson and want to learn more. “These may be people who are not used to being in a group environment, but they will get the chance to have fun and learn with people who may be suffering just like them. “The goal is allowing them to get out onto the golf course in the sun, and maybe eventually move onto membership. “I will be working with people in a very similar position to the one I found myself in six years ago, who may not think there is anything positive. “I was in that exact scenario, so I’m hoping they can identify more with me than a normal sports coach and see how sport can help them. “I have been where they have been, Golf brought me back from the abyss and allowed me to begin socialising again and has led me to where I am now. Wales Golf is supporting the R&A’s Golf and Health Week, a dedicated campaign to raise awareness of the health benefits of golf for people of all ages. The week will aim to encourage golfers, non-golfers and lapsed golfers into taking part in the sport.